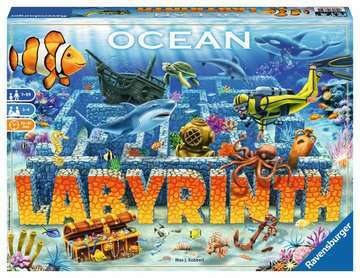 Join the race for treasure in a moving, underwater maze! 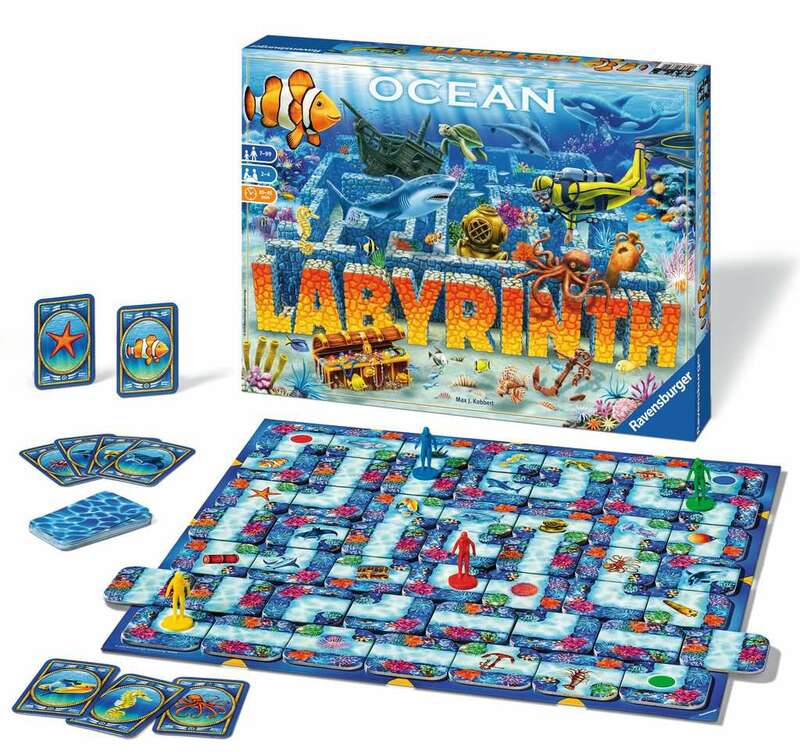 Players place maze cards to change the underwater landscape and make it easier to collect their treasures – and harder for their opponents! Players take turns drawing treasure cards and making their way around the aMAZEing board to collect them as quickly as possible. The first player to return to the undersea starting square wins the game.